Recently, many media anchors jumped on to social media to proudly declare that they had been awarded for their fantastic work in the sphere of news coverage. The likes of NDTV, Aaj Tak and other media houses basked in the glory of these awards. Aaj Tak won in eight categories including Best Hindi News Channel. In the next edition of the awards, Aaj Tak should probably win in “best fictional news” category too. 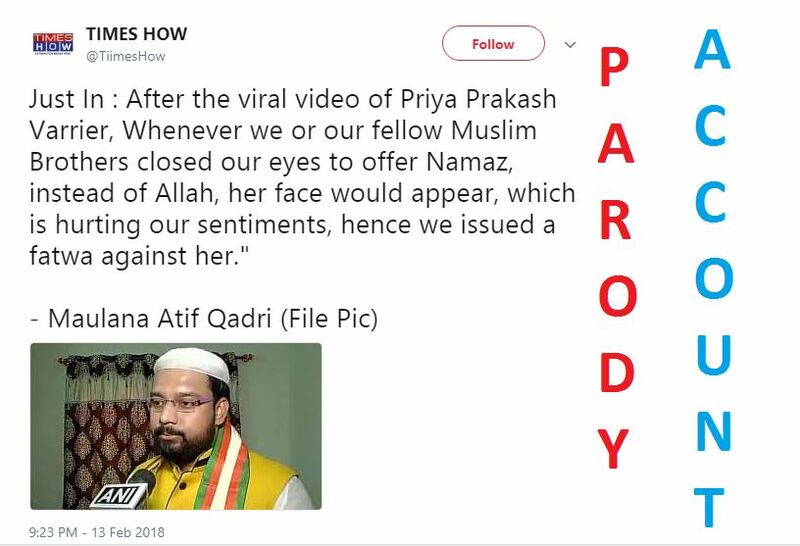 In the video, one can clearly hear her mention that Maulana Qadri had said that thanks to this viral song, whenever he closes his eyes for namaaz, he can see Priya Varrier’s face. While the outrage amongst Islamists over this song is very real, Maulana Qadri, who is otherwise known for his motormouth, had not made the above comment in respect of this issue. Earlier today, we had reported how many seasoned journalists fell for this tweet and believed it was true and that the comment was really made by Qadri. 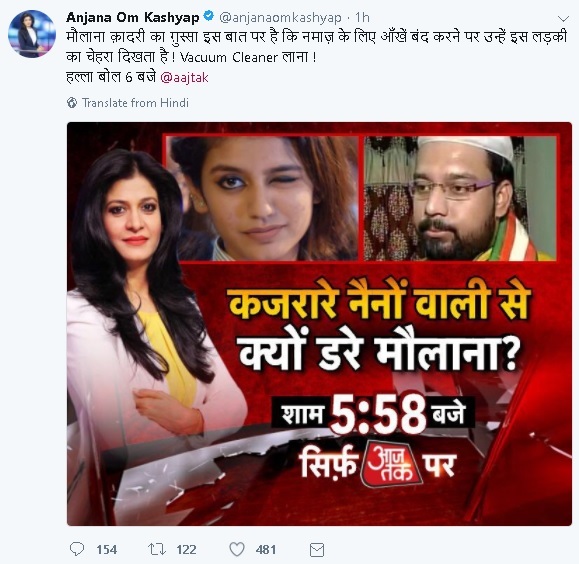 While people seeing the tweet can be excused, it is hard to fathom how an “award winning” news channel believed this and made this the main promotional material for their show? This only shows the complete lack of media ethics and journalistic standards. Worse, it also exposes the standard of the so called media awards, which declare that channels such as Aaj Tak and NDTV are the best channels, when in fact these channels are repeat offenders. Aaj Tak, next time just pick a phone and call the person whom you wish to target, to confirm that the gun isn’t actually pointed at you.